El nino is really hot water temperatures that occur around the Equatorial Pacific, and an oscillation of the ocean-atmosphere system in the tropical Pacific. El nino affects weather all around the world, but it greatly affects hurricanes. 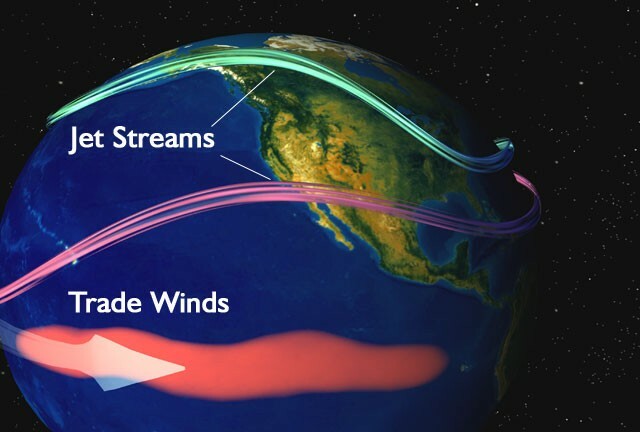 El nino helps stop tropical disturbances from turning into hurricanes by the wind it creates. The stronger wind shear allows the storm to disperse heat over a large area. La nina is el nino&apos;s opposite. La nina brings cold ocean water temperatures to the Equatorial Pacific and is basically causes the opposite of almost everything el nino causes. 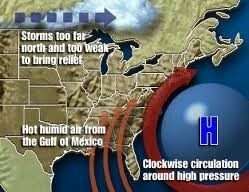 The bermuda high is the high pressure system that is over the Atlantic Ocean in the summertime. The bermuda high sends hurricanes to different areas, normally up the east coast then out to sea, by being a block that doesn&apos;t allow hurricanes to pass through it. Global warming is causing the bermuda high to becoming stronger, causing a lot of unusal summer weather. The water temperature gives a hurricane its energy; if the water is cold the hurricane is weak and if the water is hot the hurricane is strong. Once the water reaches 80 degrees, a hurricane can form. Water is heated by radiation(from the sun) and by different currents flowing into the atlantic ocean bringing hot or cold water. 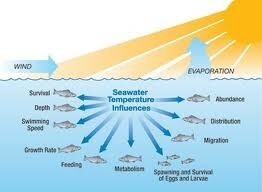 The temperature of the ocean has been rising which is leading to more hurricanes developing. New research from Duke University states that global warming appears to have caused the "Bermuda high" to intensify, leading to a doubling of abnormally wet or dry summer weather in recent decades over the Southeastern U.S.